And Light Rail Transit – Premier Horgan, Are You Listening? What this story does not mention is that Portland has an extensive LRT/streetcar network, a transit network designed to meet the needs of the transit customer. Unlike Metro Vancouver where transit is built to meet the needs of land developers and land speculators, Bombardier and SNC Lavalin, all political friends with sitting councils. Building with LRT enabled Portland’s suburbs to survive, unlike Metro Vancouver where the city is being torn apart by massive land development and almost eternal gridlock because of a definitely non-userfreindly public transit system. It seems many who move into those $1,000,000 or more condos prefer to drive, rather tan takeAi?? bus, then rapid transit and a bus again to go where they want to go. SkyTrain has now given a new word to an ever expanding transit lexicon: “Demoviction“. Both Vancouver and Portland started investing in rail transit about the same time, but Portland built LRT to meet the needs of transit customers, while Vancouver built proprietary light-metro to meet the needs of various political agendas, both civic and provincial. Net result: Portland is a livable city where Vancouver has become a playground for the wealthy. Premier Horgan please take note. The initial LRT line in Portland cost less than a quarter to build than Vancouver’s SkyTrain, enabling the transit authority to build more lines, reaching more customers. Something that TransLink does not care about. Unlike most places, Portland, Ore., offers easy living and shopping — and itai??i? ?s paying off for the city. Portland, Ore., has a well-deserved reputation among urbanists for its sound design sensibilities, from pedestrian-friendly sidewalks to tasteful public squares to a downtown waterfront park that was once an overpass. One less-reported aspect of this aesthetic is its charming retail hubs. Rather than concentrating all of its retail into a few corridors, as most cities do via strip malls, Portland has allowed it throughout its residential areas, particularly in its Eastside neighborhoods across the Willamette River from downtown. Some hubs are just a few blocks long and offer niche retail, while others are longer and include more practical features like grocery stores. Take Sellwood-Moreland, where I lived recently. The neighborhood, at under two square miles, has about 12,000 residents and a half-dozen of these retail hubs, most just a few blocks apart from each other. The strip that I lived near, at the corner of 13th Avenue and Bidwell Street, was so diverse that I forewent countless car trips. It had a library, a bar, a convenience store, a coffee shop, various restaurants and even several food carts, which are common citywide. These hubs reflect Portlandai??i? ?s history, says Tom Armstrong, a staffer for the cityai??i? ?s Bureau of Planning and Sustainability. Sellwood-Moreland and other Eastside neighborhoods, such as Irvington and Mt. Tabor, began as streetcar suburbs, later to be annexed by the city. This meant they each developed their own Main Street-style, pre-automobile retail centers, featuring narrow streets and apartments above storefronts. The hubs remain thanks to what the city did — and did not — do. While Portland has its own ugly urban renewal history, many of these historic areas were spared in the post-World War II decades. Portland also did not insist as much as other cities did on separating its uses into residential and commercial. Starting in the 1980s, there were conscious efforts to protect and bolster these hubs in the cityai??i? ?s comprehensive plan. There are 23 of these so-called neighborhood centers mentioned in the current plan, along with a formal strategy to allow housing and amenities around them. Meanwhile, the zoning map also allows for dozens of additional autonomous retail spots that are either within or near these centers. 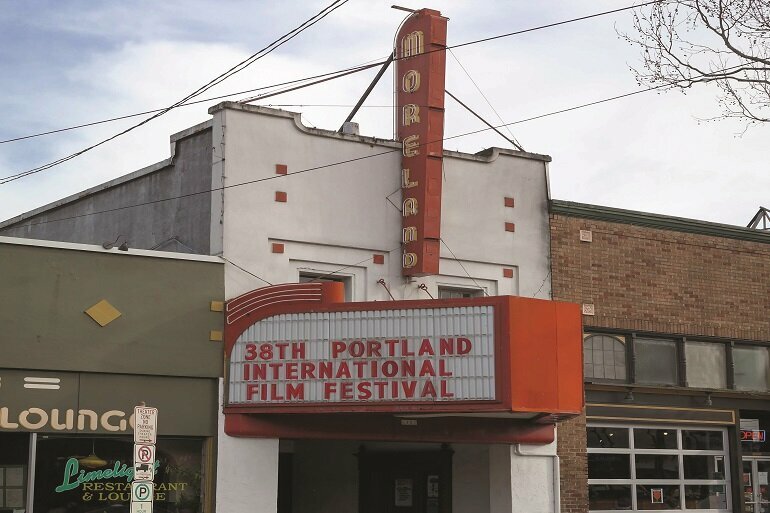 The result is that Portland, despite still being largely single-family residential in nature, has a much stronger retail presence than most U.S. cities with similar designs and histories. Walkability scores for its Eastside neighborhoods are generally in the 80s and 90s. At street level, this gives the city a spontaneous quality. One can meander through a quiet residential area and suddenly stumble upon a bakery or a micropub. Perhaps more important, it has paid off for the city, showing the value of mixed uses. In other places, this kind of retail-residential mix has been hard to implement — often because itai??i? ?s a target of NIMBY resistance. But these urban-style amenties have made median home listing prices in Portlandai??i? ?s Eastside neighborhoods some of the highest metrowide. ai???Theyai??i? ?re very popular places,ai??? says Armstrong, ai?? ?and we keep seeing redevelopment and new investment in those places.ai??? As I discovered, theyai??i? ?re convenient, placing Portlandians near charming, historic retail streets that provide whatever they could want. Portland started buiding with LRT so it makes sense for them to keep extending the LRT. Vancouver started building with Skytrain, so it makes sense to keep extending. If you want to convince people in Langley to give up their cars and take transit to downtown then you need something just as fast as driving with no transfers. Extending the skytrain to langley means a no transfer ride from Langley to Vancouver. An LRT to langley means you have to transfer in Surrey which slows down the travel and cause you to lose your seat. Forcing poeple in Langley to transfer in Surrey will make them drive instead of using transit. It takes less than 1 hour to drive from Langley to Vancouver. Skytrain is the only to equal the travel time of driving. The people that are in bed with the LRT companies do not understand this. Zwei replies: This is one of the silliest posts yet. You are som completely unaware of the real issues, one would think that you are a troll. Zwei has lost it. Skytrain is not built to meet the needs of developers. Building new apartments near skytrain makes more sense than building in the middle of no where which would encourage more traffic on roads. Look at Burnaby, most of the new development is beside the skytrain. This is because Burnaby zones the land for high rise apartments near transit. Away from transit, Burnaby zones the lands for houses only. Skytrain in Burnaby was built in 80′s and 90′s long before the recent development in the 2000′s and 2010′s. Burnaby still has its neighbourhood centres. Zwei replies: Another troll I am afraid and uses the email vanmayor@vancouver.ca.